God commands the aged women to teach the young women to be “good” in Titus 3:4. 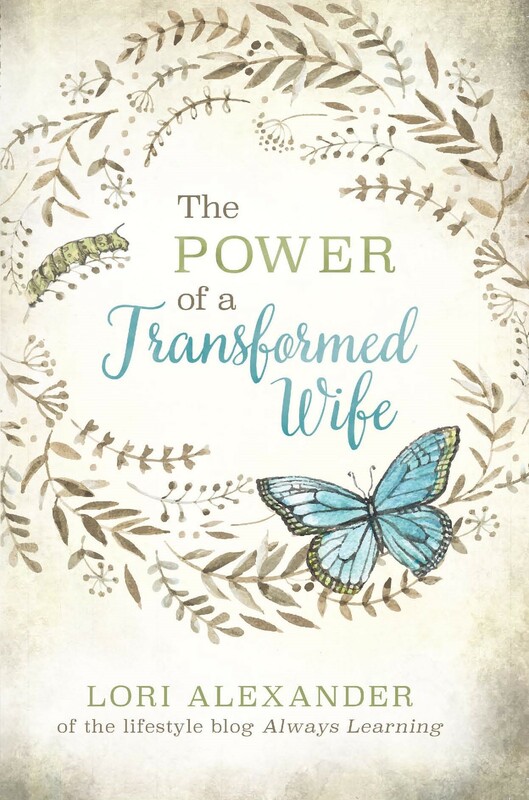 There’s only one way to be good, dear women, and that is to believe what God says about you, to “reckon” it to be true as Abraham reckoned that he was a father of many nations when he was an old man and had no children. “For what saith the scripture? Abraham believed God, and it was counted unto him for righteousness” (Romans 4:3). God wants us to believe what He says about us! Trying to be good without believing what God clearly says about you is simply religion instead of faith. We are buried with Christ in Romans 6:4. We are raised with Christ in Colossians 3:1. We are new creatures in Christ in 2 Corinthians 5:17. We are seated in the heavenly places with Christ in Ephesians 2:6. Our body is dead to sin in Romans 6:11. We are the righteousness of God in 2 Corinthians 5:21. We are free to sin no more in Romans 6:18. We are free from Satan in 1 John 2:13. We are overcomers in Christ in 1 John 4:4. We can do all things through Christ who strengthens us in Philippians 4:13. Most Christians really don’t believe this about themselves so they go about trying to be good in their own strength. Why go about trying to be good in your own strength when it’s a lot easier to believe what God says about you and walk in the Spirit while the Spirit works in you mightily (Colossians 1:29)? Believe what God says about you! Reckon it to be so and then live as a believer in Jesus Christ who daily chooses to walk in the Spirit! This is our new lives in Christ, women, and it is glorious. God came to set you free from sin. 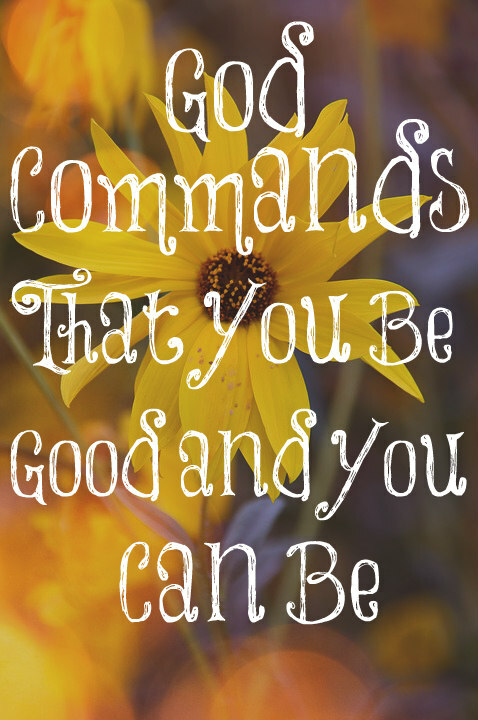 You can be good because He lives within you and He is good! It’s a whole LOT easier, A Lady of Reason, if you teach them from a young age who they are in Christ and about their Creator who made them and loves them. If you tell that He came to earth to pay the penalty for all of their sins so they might live eternally with Him, then they will want more than anything to live for Him and please Him. Continually show them the JOY of the LORD as they grow up as my mom did for me. How could I not want what she had? I pray you come to know the Savior of your soul someday. God is good and all of His ways for us are good. Hallelujah! I love these verses Lori and thank you for sharing them. One thing I like to do is sing hymns Like Victory in Jesus and How Marvelous because they remind me of what Jesus did for me. How I wish all your readers knew that same peace. I’ve been meditating on the word ‘good’ this year in Scripture, especially the meaning of it from what God considers good. In the garden, everything God created was good. Then, on the 6th day, He saw everything He had created, and it was VERY good. In my human reasoning good is so understated. I mean, we’re used to the saying, good, better, best…never let it rest… till the good is better and the better is best. I think what you’ve said trying to be good on our own strength correlates with this human reasoning. Also, my human interpretation of goodness is so subjective and could be based off of my own warped sense of morality. We can’t improve on what God considers good. That was the perfection of the garden before sin entered the world, so all these verses that you’ve shared really point to how God sees us through the covering of Jesus’s shed blood and perfect sacrifice for our sins. It’s a wonderful study and this post just adds another dimension to it for me. Thank you, Lori. Excellent, encouraging thoughts! You’re welcome, R! I LOVE learning all about this. Yes, God is good. He’s the definition of good = perfection. We become holy, set apart, and perfect when we believe because His Holy Spirit indwells us; thus we are perfect IN Christ! Sadly the Church, society, families and even husbands no longer feel able to set, moral standards for women or expect them to behave in a Godly way. Everyone seems to be afraid of women these days. Many of them sure aren’t easy to teach. Dr. Jordan Peterson said this the other day when being interviewed by a young woman, “It’s a terrible thing to teach young women, and it’s a horrible thing to inflict upon men.” I have to agree with him. Doing, or being “good” comes from within. You can do good things outwardly, but not be nice inwardly.